Celebrate the life of a loved one who as passed when you hang this Personalized Memorial photo ornament on your Christmas tree. Hanging this beautiful Memorial Ornament on your tree each year will honor your loved one like no other. Make each ornament a thoughtful Personalized Sympathy Ornament for the entire family to cherish. 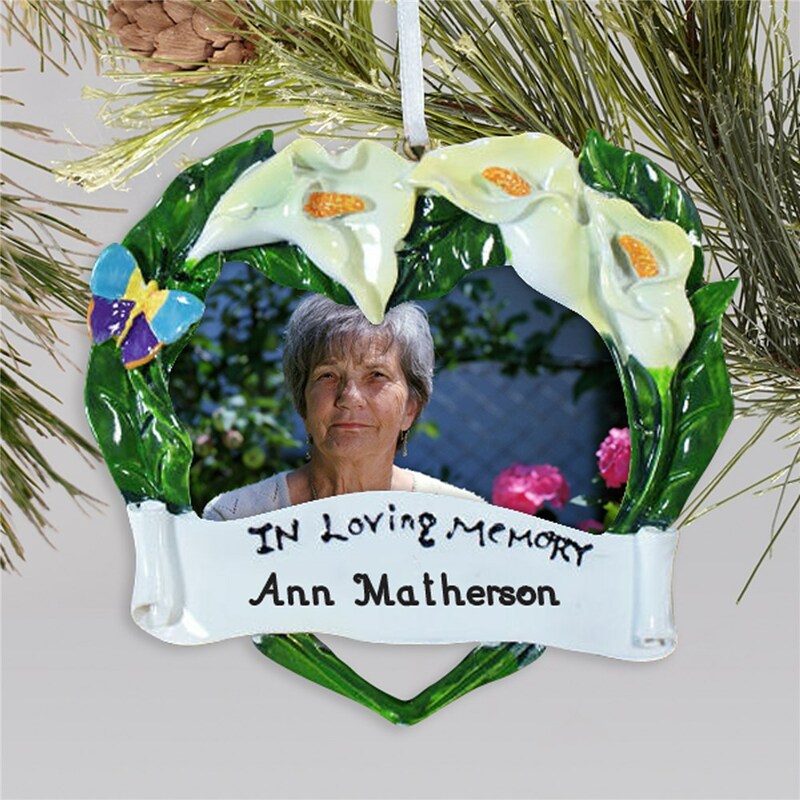 This Personalized Memorial Ornament is made of resin and measures 4.25" x 4". Memorial Ornaments include a ribbon to easily hang from your tree. Includes FREE Personalization. Personalized your Memorial Ornament with any name. Honor a loved one by displaying our Memorial Ornaments on your tree every year. A Personalized Memorial Ornament, from GiftsForYouNow.com, is a wonderful way to remember their lives and cherish the memories you have. Browse through our entire collection of Memorial and Sympathy Gifts to help loved one’s and yourself get through these hard times.